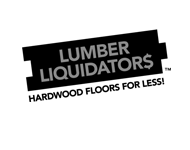 Lumber Liquidators (NYSE: LL) began in 1993 when Tom Sullivan, a building contractor, began purchasing excess wood that other companies didn’t need and reselling it from the back of a trucking yard in Stoughton, Massachusetts. The company found its niche market in hardwood flooring. The first store opened on January 5, 1996 in West Roxbury, Massachusetts selling 150 sq ft of flooring the first day. Eight months later, a second store opened in Hartford, Connecticut and from there the increase continued.